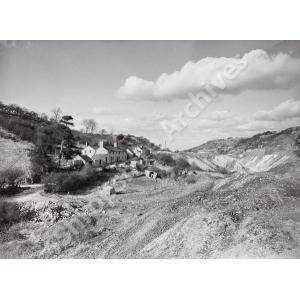 Description: View of houses and spoil heaps relating to lead zinc and silver mining carried out here between 1790's and 1913. When contacting us, please quote the Document Reference or Class and title. If not shown, go to the Catalogue below and click on the + symbol next to the current entry (shown in bold) to find more specific records. 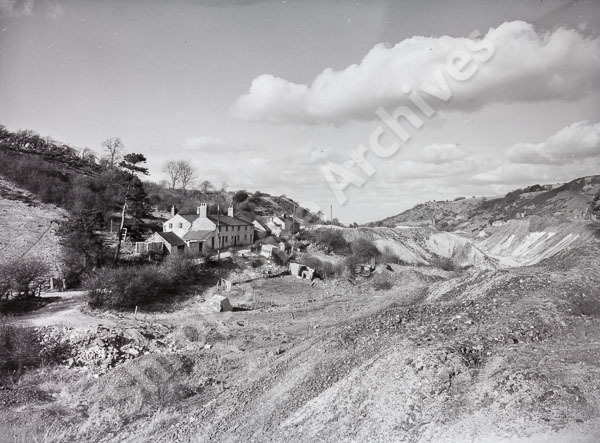 You can also browse the Catalogue to find other records in this collection - click on the + symbol next to an entry to open up the catalogue and view further records below. If there is no + or - symbol then you have reached the most specific entry. Hover over the text to view further details or click on the text to display the full record of any entry.